Chevron Nigeria Limited, CNL, operator of the joint venture between the Nigerian National Petroleum Corporation, NNPC has signed a Side Letter to the 2011 Gas Sale and Aggregation Agreement, GSAA, Egbin Power Plc, Egbin and Gas Aggregation Company of Nigeria, GACN, in bringing the GSAA to a formal start. 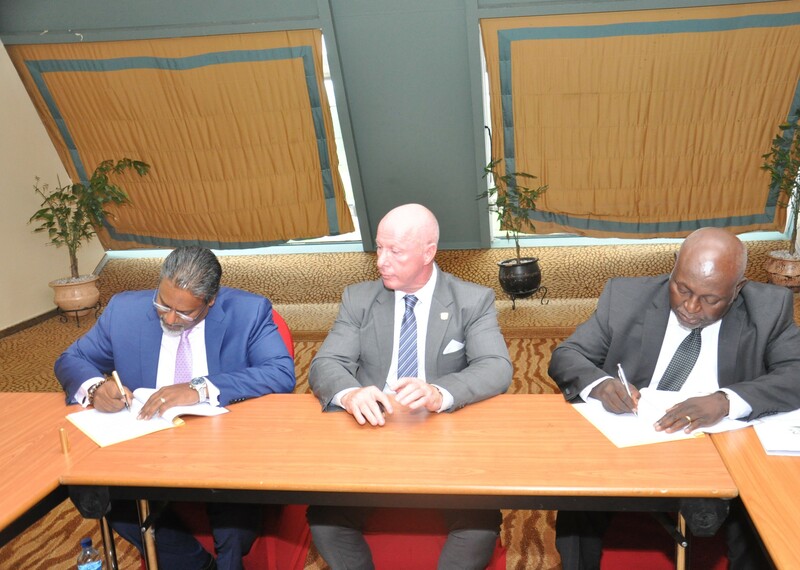 The signing ceremony which held Wednesday, October 31, 2018 at Transcorp Hilton Hotel, Abuja, was executed on behalf of the three companies by Sanjay Narasimhalu, Director Downstream Gas, CNL, Morgan Okwoche and Dallas Peavey Jr., Managing Director of GACN and Managing Director of Egbin, respectively. The Egbin GSAA has been identified as the first in the country to be successfully made effective between a gas supplier and a power plant. It is a demonstration of more than a few pioneering initiatives that the NNPC/CNL JV has made to enable implementation of the Nigerian Gas Master Plan, of which the GSAAs are a key component. It is noteworthy that the NNPC/CNL JV, Egbin and GACN were able to bringthe Egbin GSAA to a formal start, in support of the Federal Government’s efforts to significantly improve the power situation in the country. The NNPC/CNL JV’s gas obligation under the Egbin GSAA is 145MMBtu/d. The gas will be delivered to Egbin’s transporter, which is the Nigerian Gas Company, at the delivery point, and the transporter will be responsible for transporting the gas to Egbin’s facilities. The Egbin GSAA is another effort by the NNPC/CNL JV to reinforce its commitment to supporting the socio-economic development of Nigeria by maintaining its leadership role in domestic gas supply.